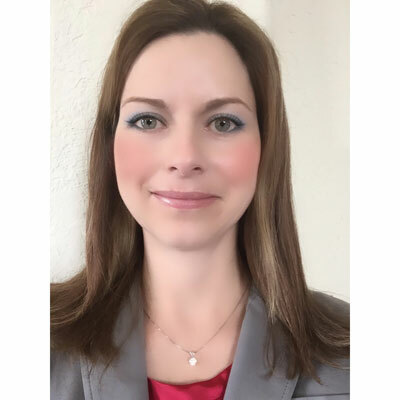 With over 19 years of channel experience, Heather Wilcox resides on the client solutions field marketing team supporting Dell EMC's channel organization. Heather assists in developing marketing programs to drive accelerated client solutions growth through the partner community. Top priorities include: ensuring programs are competitive, defining an enhanced go-to-market strategy for customer acquisition/expansion and focusing on premium product growth like rugged computers and workstations. Heather is also responsible for helping to grow Dell EMC's mid-market partners. I was responsible for developing and driving much of Dell EMC's go-to-market plans for our two most profitable client lines of businesses - Latitude rugged notebooks and Precision workstations. My efforts delivered record results, which included double-digit growth for both products and allowed Dell EMC to remain #1 in workstation share in North America. From a mid-market partner perspective, we continue to see year-over-year growth which is a result of working closely with strong sales leaders to deliver quarterly client initiatives. One of our marketing programs for this partner set generated over $67M in pipeline and closed sales. Simple, predictable, and profitable remain Dell EMC's key partner program tenets. We just announced exciting enhancements to our 2018 program. The program's new competencies, simpler training requirements and increased incentives help enable our partners to grow at a profitable and rapid pace. Specifically, for client, Dell EMC's objectives are to grow premium products, remain #1 in workstations and monitors, continue to take rugged computer market share, and win acquisition business. We also want to work with partners to ensure they're attaching Dell EMC's services, our best-in-class security solutions, and our top-notch ecosystem of peripherals. From Dell EMC, I have received four different top achiever awards over the past year. In my workplace, I am surrounded by women who are role models and don't even realize it. Being able to work a 50-60 hour work week, while balancing the demands of their family is no easy task, yet it is executed flawlessly by many of my colleagues and the women in leadership positions at Dell EMC. I admire all of them. The secret to wanting it all is knowing that you already have it. Don't add up all the mistakes, but do remember the lessons from each. What comes around goes around - be kind even on your worse days. The days are long but the years are short - enjoy each moment! Learning the skill set of a cybersecurity analyst. Having the capability to develop firewalls, software, encryption, etc. to prevent everyday risks/threats to companies and families is truly powerful in this day and age. From time to time, I read "Who Moved My Cheese" by Spencer Johnson, M.D. It's not only an easy read, but a good reminder that change is constant. The book's principles can be applied to both your professional and personal environments.